Our customers are thrilled with the BMG line of price markers and the support that we provide with them. 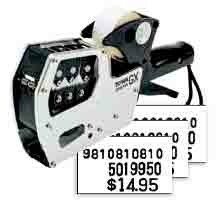 These marking guns are easy to load, durable, and have a 2 year warranty. The labels can be fully customized with your store info and even a logo.